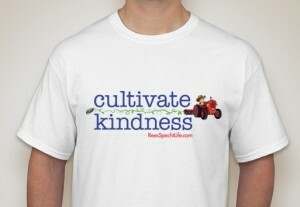 Help Support our goal to raise money to Cultivate Kindness Worldwide! The ReesSpecht Life Foundation is hoping to raise $100,000.00 to fund three very important programs. Please watch the video below and then click on the link to head over to our crowd-funder at generosity.com. We think you will agree that the donation perks we are offering are really great! We have two weeks left on our booster campaign to raise funds to help us print our Pay it forward cards and fund our school scholarships as well as our other charitable endeavours such as teacher grants and meal deliveries to those suffering in our community. We are about halfway to our goal of 150 shirts sold and we know, with your help, we can easily surpass that goal. Help us make a difference in other’s people’s lives – and show the world you believe in cultivating kindness. You can order by clicking on the picture below or clicking HERE. 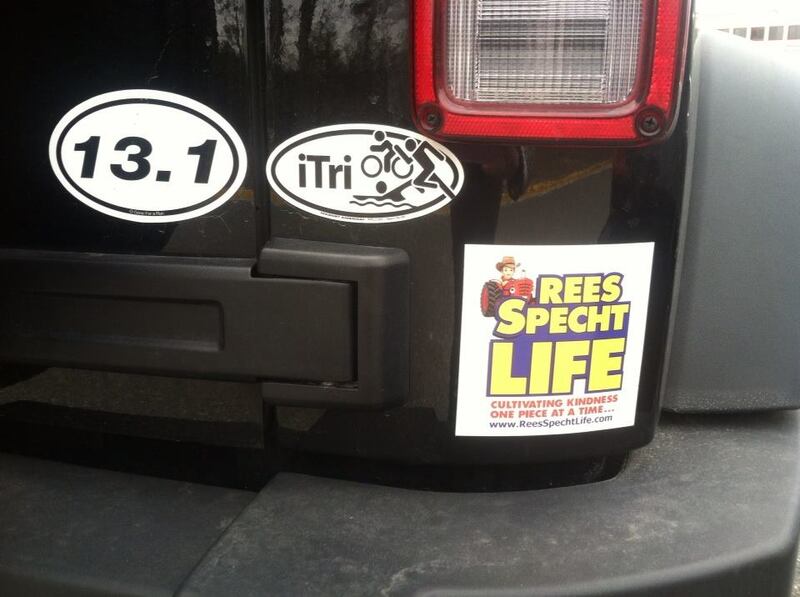 The ReesSpecht Life foundation is a registered 501(c)(3) charity. With each shirt purchased we move one step closer to making this world a kinder place, one Rees’ piece at a time… Click to order yours today. Order ReesSpecht Life Car Magnets! You can order your magnets right here on ReesSpechtLife.com! 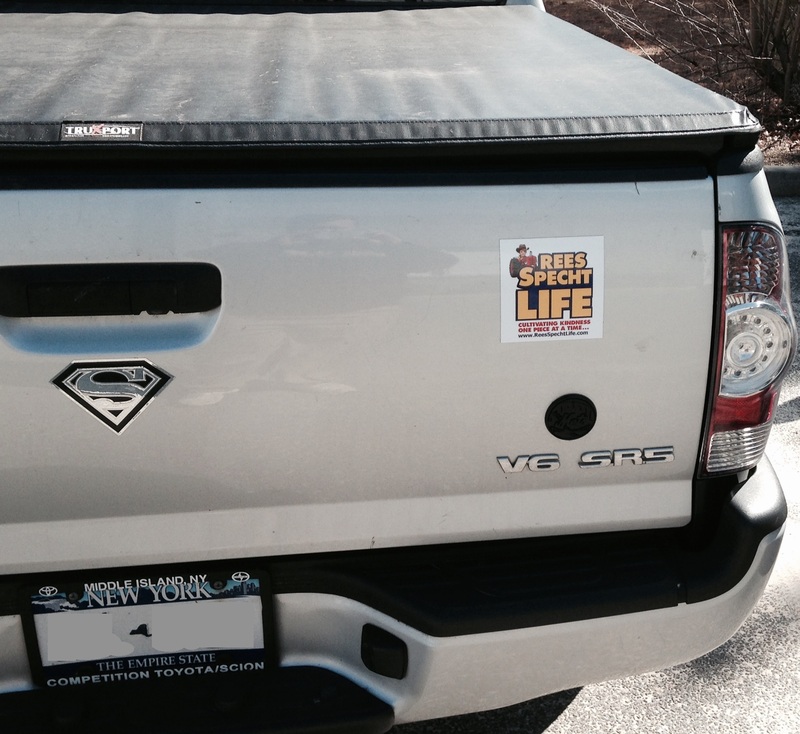 Magnets sell invidually for $6.00 plus shipping, and orders of 2 or more are $5.00/magnet with FREE shipping. International orders are subject to a small shipping fee added at checkout. All proceeds from the sales of magnets go directly into our scholarship fund. As always, thank you for your support! We look forward to seeing Rees’ pieces out on the road! Man of Steel Fundraiser @AMC Stony Brook, Friday June 14th! We are now accepting orders for our Man of Steel (new Superman movie) fundraiser on Friday, June 14th at 6:45 pm at AMC movies in Stony Brook. To guarantee a seat, all orders must be submitted by June 11th. If we get 80 tickets sold we will have our own, private screening just for Rees’ pieces 🙂 Tickets are $25.00 per person and include admission and a $13.50 donation to the Richard Edwin-Ehmer Memorial Scholarship fund. Please fill out the order form below if you wish to join us. Payments can be made the night of the show as a check made out to STA or Cash. You can also pay for the tickets directly by making a $25.01 donation to paypal through the donate button below. We hope to see as many of Rees’ pieces as we can possibly fit into the theater on June 14th! UP, UP and Away!! !